One of my families favorite traditions is Friday Night Pizza and Family Movie Night. I try to make our own pizza most nights. This change has been SO good! It saves us a lot of money and tastes SO much better. 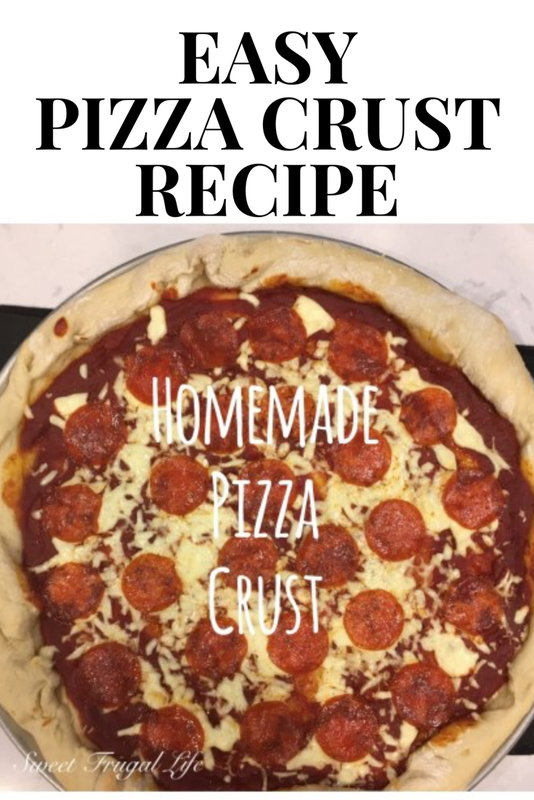 I wanted to share with you my favorite pizza crust recipe (because I have just about tried then ALL!!). I hope your family will love it as much as mine does. In mixer lightly mix water and yeast together. Let sit for 5-10 minutes until it becomes frothy. Add the oil, salt, sugar and flour to the yeast mixture. Mix well. You may need a little less or little more flour. You want the dough to bounce back if you poke it. 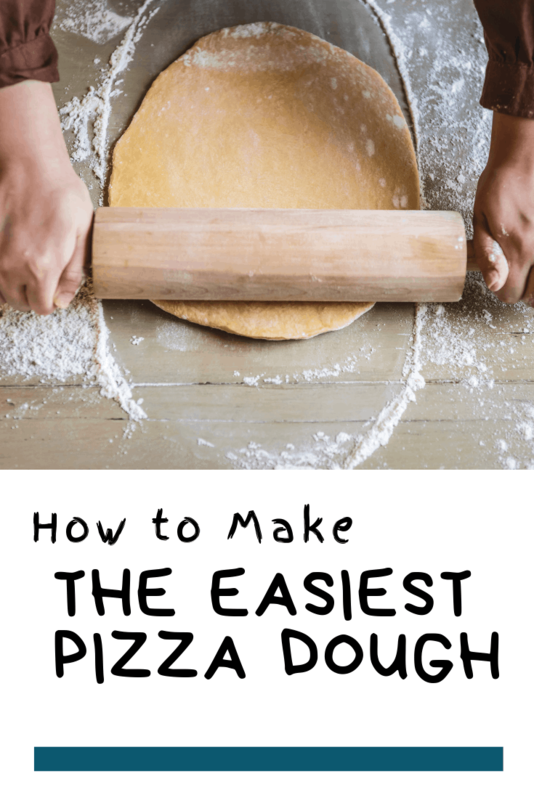 I also usually keep the dough slightly sticky. 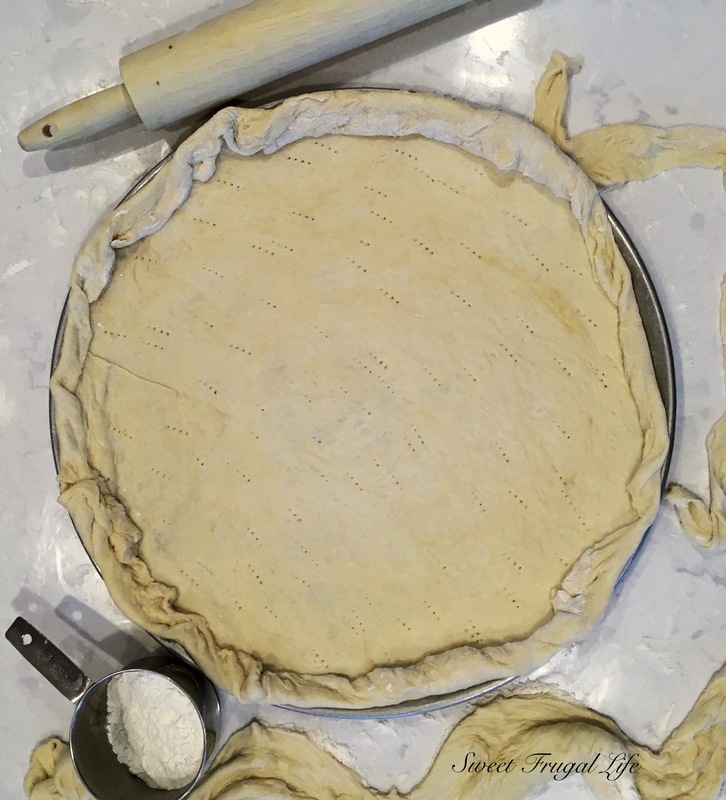 Put dough into greased bowl and cover with a dishcloth. Let rise for 30-60 minutes until doubled. I will usually put it next to the flour or in the sun to speed up the rising process. Place dough on lightly floured surface. Roll out into a pizza shape. (If you don’t have a pizza pan, just use a cookie sheet. It works great!) Place on greased pan. Poke all over with a fork. Cover with your favorite toppings. Bake for 15 minutes or until cheese is melted and crust is golden brown. 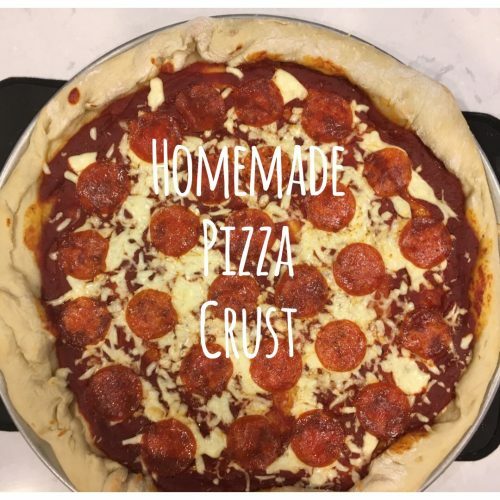 Do you have a family pizza and movie night??? ?